Here’s How to Get More Success–Even Before They’re Licensed! Here’s how to get more success with your new agents–starting with before licensing. Managers: Use this as you’re interviewing to help those best candidates get ready to be successful. Managers: your new agents wait to start training until AFTER they join an office. Why? Think how much faster they could go if they had lots of the organization and training under your belt prior to their first day in the business?A� Okay. I know. Until they are licensed, they can’t do the things licensed agents can do. But, they can do many things. And all those things get them ready to hit the ground running. At the end of this blog, I’m providing you my great checklist,A�30 Things to Do Right (In Pre-License School) Now to Hit the Ground Running. (from my new eBook,A�What They Don’t Teach You in Pre-License School). 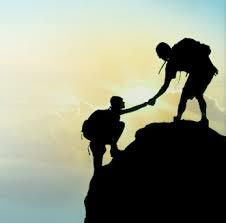 New agents generally spend the first 1-2 weeks getting ‘orientated’. Brokers have checklists to assure they get their keys, join the Realtor association, etc., etc., etc. How long do you estimate it takes the new agent just to get those orientation checklists finished? 2-4 weeks? In some cases, they never finish them!!!!! Not only that, they probably think that finishing those checklists assures they are going to be successful agents.A� Ha! When Do New Agents Plan to Start Lead Generating? In fact, as I was writing myA� eBook,A�What They Don’t Teach You in Pre-License School, I started thinking about how we could really prepare agents to sell real estate–lots of real estate. That’s how I came up with this checklist.A�Click hereA�to get it. Let me know how theA�checklistA�worked for you. I’ve used this with pre-licensees and seen them sell much faster and with much more confidence. 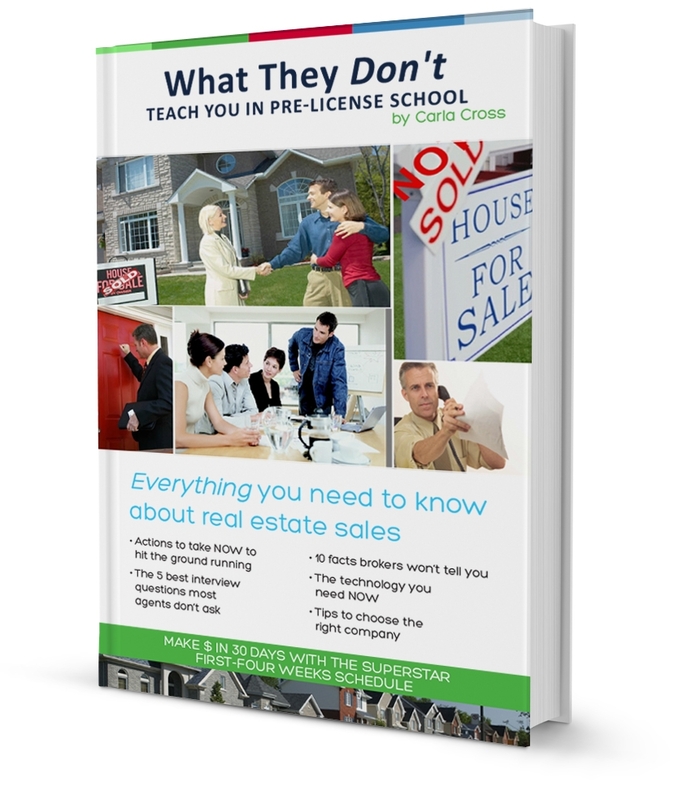 This 280+ page eBook is packed with questionnaires, advice, processes, and systems to prepare pre-licensees (and new agents!) for the real world of real estate.A� SeeA�What They Don’t Teach You in Pre-License School.A�Only $14.95, and immediately downloadable. Now, a Kindle version, too.